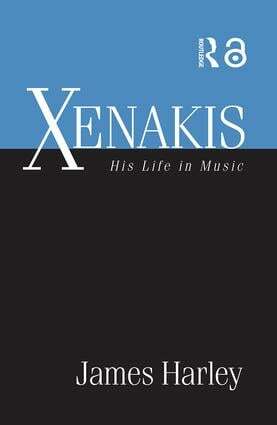 Xenakis: His Life in Music is a full-length study of the influential contemporary composer Iannis Xenakis. Following the trajectory of Xenakis’s compositional development, James Harley, who studied with Xenakis, presents the works together with clear explanations of the technical and conceptual innovations that shaped them. Harley examines the relationship between the composer and two early influences: Messiaen and Le Corbusier. Particular attention is paid to analyzing works which were vital to the composer’s creative development, from early, unpublished works to the breakthrough pieces Metastasis and Pithoprakta, through the oft-discussed decade of formalization and the evolving styles of the succeeding three decades.